The Palestinian Authority (PA) announced yesterday that it will take more punitive measures against the Gaza Strip. Yesterday, the PA ordered its employees to pull out from the Gaza-Egypt border crossing, effectively closing the main exit point from the impoverished Gaza Strip. Palestinian prisoner Karim Younis yesterday started his 37th year inside Israeli prisons, Quds Press reported. According to the Palestinian Prisoners’ Club, Younis was arrested by Israeli occupation forces on 6 January 1983, when he was 25 years old and was sentenced to life in prison for resisting the occupation. During his prison time, several prisoner deals have been reached between the Palestinian resistance and the Israeli occupation, but Israel refused to include him in any of the deals. His father died in 2013 and his mother’s health condition has left her unable to visit him since he was moved to the Al-Naqab Prison in the Negev desert two years ago. He was recently returned to Hadrim prison where his mother is able to see him. Younis is among the 27 Palestinian prisoners who were arrested before the Oslo Accords were sign and who are still in Israeli jails. Rights groups say that Israel is detaining more than 6,000 Palestinian prisoners inside its jails, including 250 children, 54 women and girls, eight MPs, 27 journalists and 450 under administrative detention. Palestinian Minister of Education and Higher Education Sabri Saidam yesterday signed a deal with the Islamic Development Bank to build and renovate 11 schools, the Safa News Agency reported. The deal, worth $14 million, will be spent on building three schools, renovating others and adding 159 new classrooms. It also includes offering technical support for the projects’ unit at the ministry. Saidam said that this deal came to support the education sector in Palestine and afford an appropriate educational environment. The Al-Aqsa Fund, which is funded by Arab and Islamic banks, has invested in more than 250 schools in the Palestinian territories between 2001 and 2017. RAMALLAH, PALESTINOW.COM — Dozens of Palestinians were left injured at nightfall on Sunday in clashes with the Israeli occupation forces in the central West Bank city of al-Bireh. Red Crescent paramedics said nine Palestinians were treated for injuries during the confrontations. Several others choked on teargas. Earlier, at daybreak, heavily-armed Israeli patrols stormed al-Bireh and ransacked Palestinian shops, before they seized surveillance cameras. 16-year-old Palestinian boy Fawaz Adel was critically injured in the head after he was shot with rubber bullets during the assault. The Palestinian Health Ministry said the teen sustained skull fractures and a brain hemorrhage. He is in a critical condition. The attack was carried out on allegations that an Israeli bus was targeted by gunfire overnight near Beit El settlement outpost. Israeli occupation government suspended funds transfers from Qatar to Palestinian employees in the besieged Gaza Strip, Israeli TV Channel 20 reported on Monday at noon. According to the Israeli TV, the occupation government claims that freezing the payment came in response to the firing of a rocket from Gaza towards Ashkelon. The extremist right winger continued: “Anyway, we have to make it clear that the siege will not be facilitate before the release of our soldiers and settlers,” referring to the Israeli soldiers who are being held as prisoners of war in Gaza. 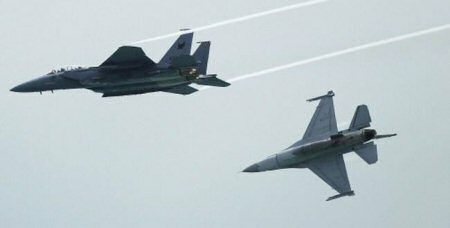 The Israeli Airforce fired, on Monday morning, several missiles at a few areas in the besieged Gaza Strip, causing damage. 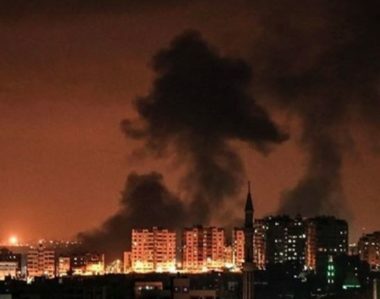 Media sources in Gaza said the Air Force fired at least two missiles into a site, located northwest of Beit Lahia, in the northern part of the Gaza Strip. They added that the missiles caused damage to the targeted site, in addition to several surrounding homes. The army also fired at least three missiles into a site in Gaza city, causing serious property damage. At least one missile was also fired into an area in Khan Younis, in the southern part of the coastal region, causing damage. The Israeli army said it fired the missiles into Gaza in what it called retaliation to one homemade shell, which struck an open area near Asqalan (Ashkelon), causing no damage or injuries. The army added that it holds Hamas movement in Gaza fully responsible for any escalation in the region. 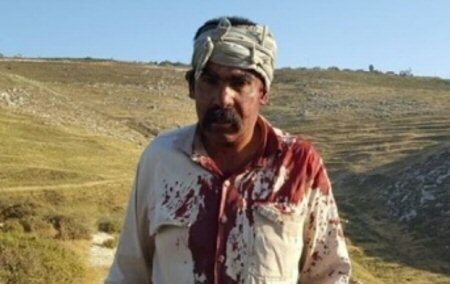 The Israeli army informed members of the al-Barghouthi family, from Kobar village, northwest of central occupied West Bank district of Ramallah and al-Bireh, on Saturday, that the family would be expelled to the Jericho district, if their son, Assem, does not turn himself in to the Israeli army. 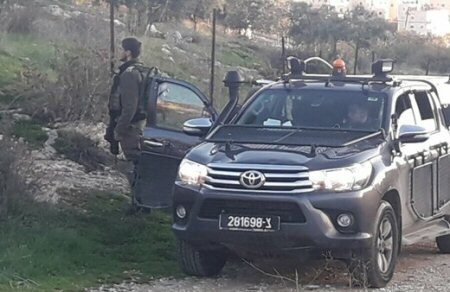 Israel accuses Assem of carrying out an attack which killed two Israeli soldiers near Ramallah, on December 13, one day after his brother, Saleh, was reportedly shot and killed by Israeli soldiers north of Ramallah. Assem has been ‘wanted’ by Israeli forces since then; on December 19th, Israeli forces took measurements of al-Barghouthi’s home, in preparation for its demolition, as punishment. Saleh’s family says that Saleh was detained alive and might have died in custody. Israeli soldiers claim that Saleh, who they say was allegedly responsible for shooting and injuring seven Israelis days earlier near Ramallah, was shot and critically injured and later died of his wounds. Al-Barghouthi’s mother said that large numbers of Israeli force raided their home, early Saturday morning, interrogated her and said that her son, Assem, has three days to turn himself in or the entire family will be expelled to Jericho. She added that Israeli forces also detained her youngest son, Muhammad, 17, and her brother, Lutfi al-Barghouthi. Israeli forces had previously detained her husband and another son a day after the alleged attack. Violent confrontations subsequently erupted between Israeli forces and locals of Kobar; soldiers fired tear gas, causing tear-gas suffocation cases. Last week, Israeli forces detained 10 Palestinians from Kobar, as part of Israel’s “collective punishment” policy against the village, following al-Bsrghouthi’s alleged attack.